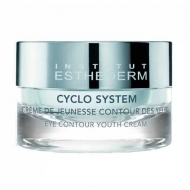 Fights wrinkles, loss of density and matter, sagging, skin desiccation, lack of comfort and luminosity. 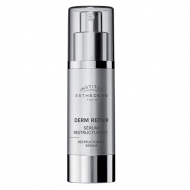 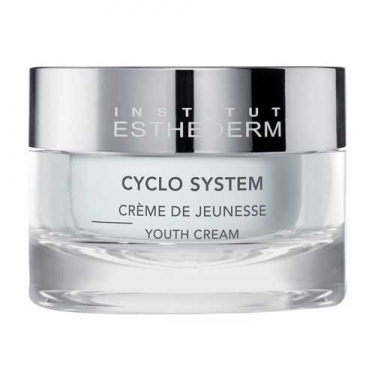 DESCRIPTION: Cyclo System Crème De Jeunesse from Esthederm is a cream care that corresponds to a complete and effective response to the consequences of aging hormones of mature skin (wrinkles, loss of density, sagging, dryness, lack of comfort and luminosity). 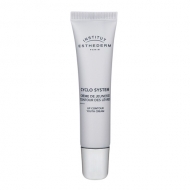 The skin becomes moisturized and densified. 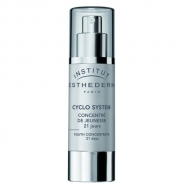 Apply morning and / or evening on the skin of the face and neck previously cleaned and dried after Concentré de Jeunesse 21 jours.